For the fifth week in a row, Apple has lost mobile market share to Android among pMD's physician charge capture users. 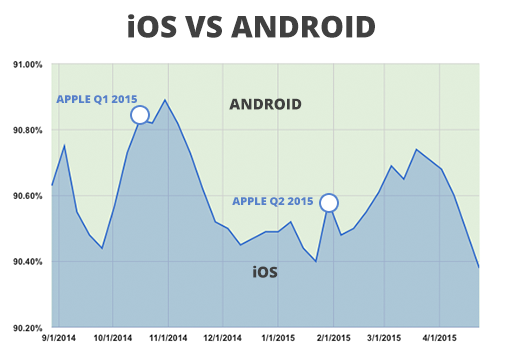 To Android's glee, Apple's 0.11 percent loss this week puts the total drop at 0.38 percent. The first shipment of Apple Watches arrives in stores today, and with it are more than 3,000 new third-party apps for the new smartwatch.